Certificate of excellence 2013, 2012 & 2010 by TripAdvisor. 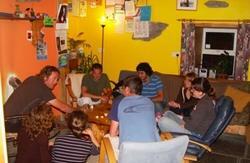 Voted 'Best Hostel in Ireland' 2008 & runner up 2009, 2010 by Hostelworld guest reviews. 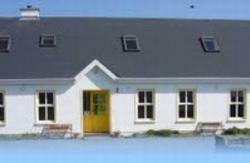 Voted 'Best Independent Hostel' in Ireland by the IHH 2009, 2010 & 2011 and 'Best IHH Village Hostel' in Ireland 2009, 2010 & 2011. 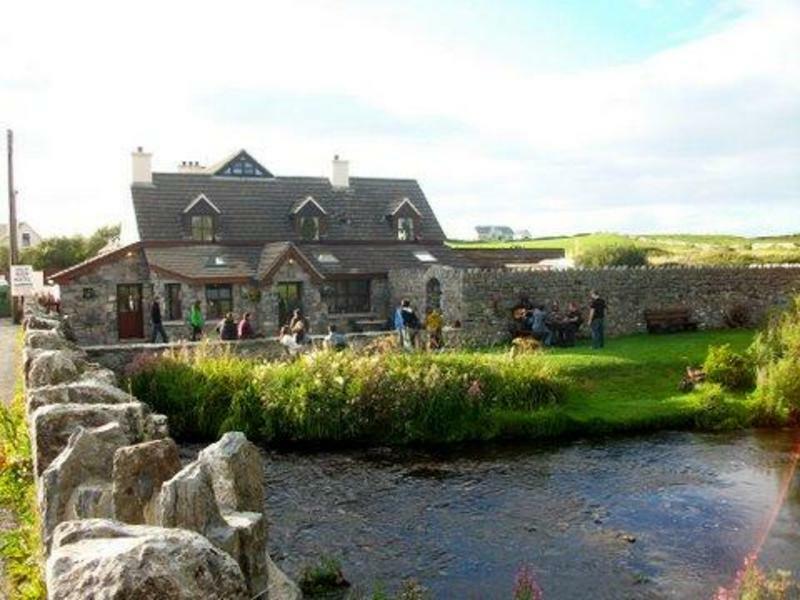 The Aille River Hostel is the gateway to the majestic 700 ft Cliffs of Moher, the world famous Aran Islands and the unique beauty of the Burren landscape, home to thousands of rare wild flowers and archaeological Celtic sites. Recommended by Lonely Planet travel guides as 'The best of the bunch' and Lets Go gives a 'Thumbs up'. Nominated for the Irish Welcome Awards 2006. The IHH holiday hostels group and Hostels of Europe. This 300 year old renovated cottage is situated on a quiet road at the bank of the Aille River, right in the centre of Doolin. This is a perfect spot for your stop over or extended stay in the area, where you will experience a warm friendly atmosphere in our old world surroundings. Visit the sights of Clare or just chill out by the river during the day..... then relax by the turf fire or check out the traditional music in the local pubs. The Aille River Hostel Doolin has a range of private rooms for couples, family rooms and dorm rooms. Groups larger than 6 please contact the hostel before placing a booking. Free use of computer with internet access. Free use of fully stocked self-catering kitchen. Free hot showers 24 hours a day. Free use of washing machine with Free washing powder included. Free maps of the local area. Free information on sights to be seen and music to be heard. Free use of Safety lockers in dorm rooms. Live music can be heard or played in the local pubs McDermotts, McGanns and O'Connors only 5 minutes walk away. Camping is also available with full use of hostel facilities with no lock outs or curfews. Hostel staff will be happy to inform you on local sights and activities including: The Aillwee Caves, Burren Heritage Centre, Cliffs of Moher, Doolin Cave, castles, forts, Celtic ruins, golf, hiking, Poulnabrone Dolmen, surfing, fishing spots, trips to the Aran Islands, as well as bus and travel information. If you cannot make it to the hostel before 8:30pm contact us as soon as possible to arrange some alternative with staff. We are located right in the centre of Doolin, 20 metres off the main road just over the old stone bridge opposite Fitzpatricks Bar. Look for the signs at the crossroads on main road in front of the hostel. Bus Eireann stop on request outside the Aille River Hostel. 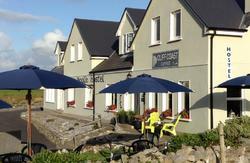 Central/walking distance to all activities in Doolin. -Cancellations within 48 hours no payment. Thereafter 1st nights payment is charged, excluding PUBLIC HOLIDAY WEEK-ENDS when full payment is taken. -CHECK IN TIME NOT LATER THAN 8.00 P.M.
-You will be requested to call one day before arrival with your travel details. -Payment in cash only on arrival (Caution: there are no banks or cash machines in doolin).